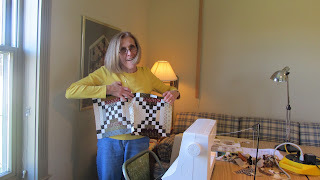 Had a great time taking a workshop from Heather Stewart a couple of weeks ago.This is the quilt we were making. It requires a lot of sewing but well worth it. I went on a retreat with my quilting friends last week . 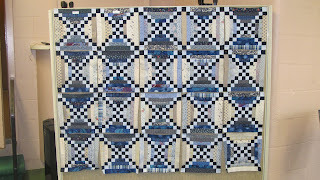 I decided to work on this quilt so I got all my strips and pre sewing done I got these blocks done . 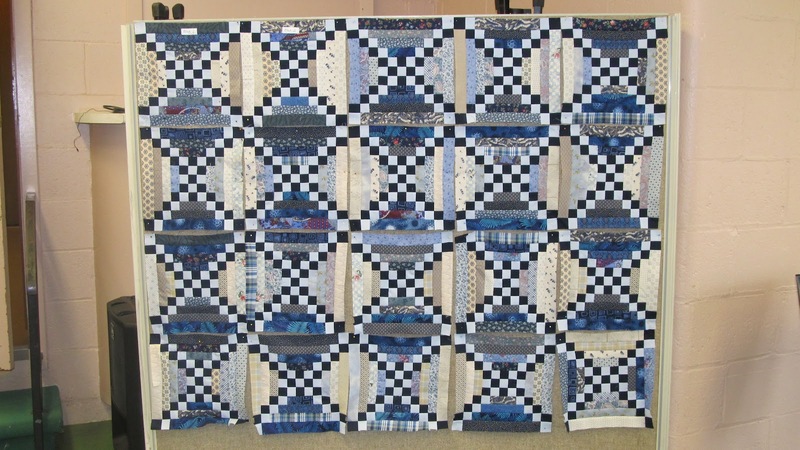 .I have about 40 more blocks to make..Lots of sewing but I just love the design.I have a "blue" bedroom so it will look nice on my bed. 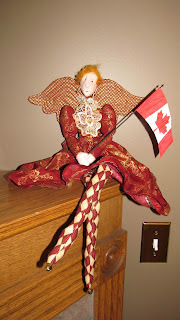 I had to stop working on the quilt as I had orders to fill and the Studio Tour is coming up and I have some thread work to frame along with some other things to finish up. 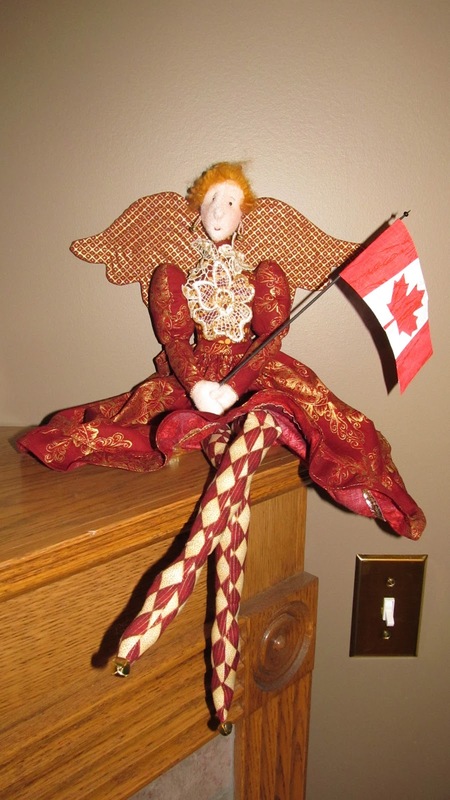 Here is Patriotic "Angelbelle" dressed in pretty gold embellished raspberry outfit. This doll is so sweet and is always in demand..I never get tired of spending my time on her. Oh, I love that blue and white quilt! Wow! It's amazing. And your little doll is so cute! Maggie, you are an amazing women. I sure do look up to you!